Celebrations mean different things in different cultures. Indians, who are generally known to be very traditional in the way they select gifts have accommodated some new approaches. The trends of gifting are gradually changing from a welcome garland to a rose bouquet, sweets to cakes, hand knitted sweaters to fashion apparel and such examples are increasing by the day. Most occasions are linked to some kind of gifts which is thought to be perfect for the occasion. Here are some occasions when Indians prefer sending cakes to their loved ones. Earlier in India, birthdays were celebrated with sweets and kheer (thickened milk cooked with rice) but the trends are changing now. People cannot think of celebrating birthdays without a scrumptious cake. The fervor of sending pre-ordered cakes to India has increased so much that online gift shops have taken it as a challenge to perk up their network, introduce new designs and launch new flavors with each passing season. There are endless varieties of cakes to choose from. Some of the most favored Birthday cakes in recent times have been photo cakes, themed cakes, character cakes, number cakes, drippy and delicious buttercream cakes with floral designs. When two people tie the knot, it’s time to celebrate! One of the most chosen gifts on this occasion is a cake. 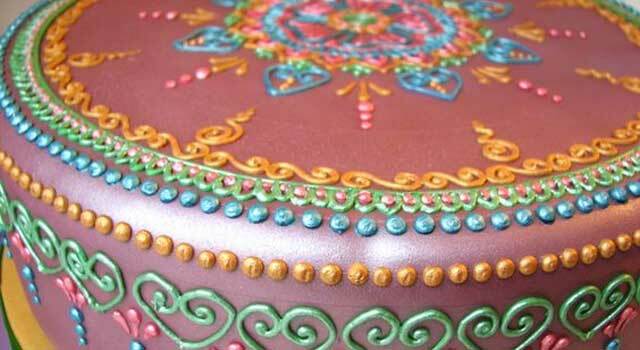 Indians love to follow the ongoing gifting trends, thus online wedding cakes in India are extremely popular. Some of the favorites are multiple layered or tiered cakes adorned with fondant and trimmed with edible floral wreaths. The color scheme that’s often selected for this occasion is soft pastels, nothing too jazzy. Marriages are special but wedding anniversaries are nostalgic. Undeniably, one of the best gifts on this occasion is cakes. Quintessential flavors for this occasion are red velvet, chocolate, vanilla and fresh fruit versions. Although, taste is what matters but what most Indians consider while ordering a cake, are its aesthetics. Most preferred wedding anniversary cakes are topped with elaborate sugar roses, intricate fondant patterns and passionate hues like red. It will not be fair to say only Indians choose to send cakes to their lovers on Valentine’s Day because most of the world follows a similar drift. Valentine’s Day cakes are very popular; after all, it’s made for a sweet relation that turns sweeter as years pass by! It goes without saying, romantic ideas work out best on Valentine’s Day cakes. A treat for a wife, husband, girlfriend, boyfriend or any loved one, in all corners of the country people enthusiastically order for cakes on February 14. Thanks to e-gift shops, it’s so simple and quick! Indians are gradually incorporating western celebrations in their lives. Specific celebrations which were unheard of earlier are being enthusiastically observed with cards, gifts and dinner. Mother occupies a very special place in every child’s heart. Western countries have been celebrating Mother’s Day on the second Sunday of May for long but for Indians, it’s something very new. Indian’s have always been known for their adaptability and capability to accommodate new cultures. Mother’s Day has become a popular celebration in the country when sons and daughters send thoughtful gifts to their mother not missing out that utterly delicious cake. For some of the most amazing cakes in India visit www.lovenwishes.com, an online gift shop that offers a wide selection of exclusive flowers and gifts. Yummy delicious Cake are the center attraction of every party if you want to send cakes to India visit lovenwishes.com, an online flowers and cake provider in India.